Who Do You Think Should Be In The Watertown Hall Of Fame -- Nominating Form Below! Do you know someone who is doing great things for Watertown? Let us know! The Watertown Hall of Fame committee wants to hear from you before the May 17th deadline. 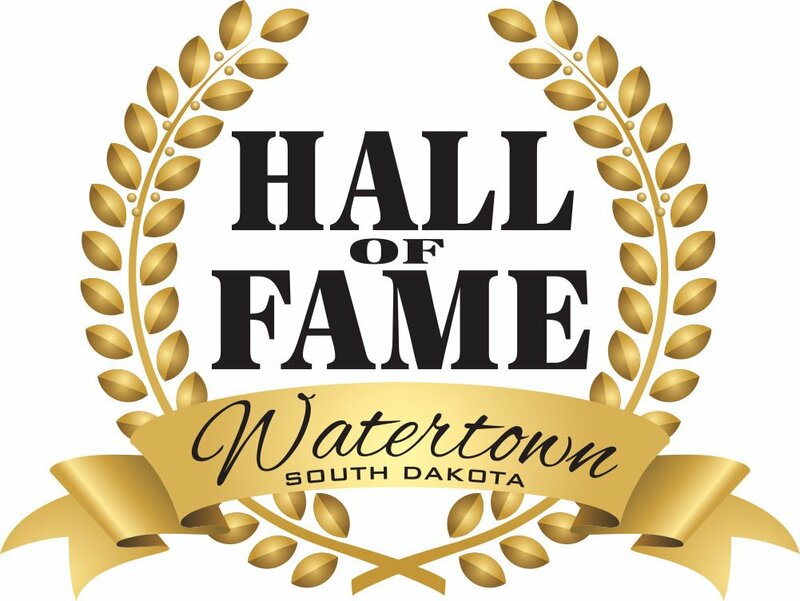 The Watertown Hall of Fame committee is looking for nominations from the community prior to this year’s selection process. Nominees for the Watertown Hall of Fame must have been active in the Watertown community between 1960 and the present. A panel of 11 voting members will select the 2019 nominees. To make the final list of inductees, the recipients must appear on a minimum of 7 of the 11 ballots. The Watertown Community Hall of Fame was formed in 2013 to honor Watertown people who have made a significant, positive impact on the community since 1960. The Hall of Fame committee is made up of Watertown business and professional leaders. To nominate someone all you need do is just bring any documentation they'd like to support the nomination to the chamber. The deadline for nominations is May 17 2019. Watertown, SD -- The groundbreaking ceremonies for the new Prairie Lakes Healthcare Center For learning at Lake Area Technical Institute began Thursday morning with Watertown Superintendent Dr. Jeff Danielsen thanking the hospital for their contribution to help construct the more than 20,000 square foot building. Prairie Lakes Healthcare System CEO K.C. DeBoer said the hospital was pleased to partner with Lake Area Technical Institute. He said it will help improve healthcare for the community and area. District 5 Representative Hugh Bartels says the state also stepped up with a more than 2 million dollar appropriation along with another 250,000 to help purchase equipment. Lake Area Technical Institute President Mike Cartney says the new building will help provide more opportunities for students while offering up new employees for the healthcare workplace. He also thanked the students. SD Department Of Tourism Traveling State Offering "Industry Outreach"
Watertown, SD -- The Codington County Emergency Management Office is continuing to gather the FEMA Disaster Declaration paperwork from the cities and townships. Director Jim Sutton says that information has to be in Pierre by the end of this week. While it was slow to develop, it appears the effects of the current El Nino will hang around for a while. Dennis Todey, head of the Midwest Climate Hub (in Ames Iowa) says they expect a longer than average El Nino. The City of Watertown will sponsor the Annual City Wide Clean-up starting Monday April 29, 2019 through Friday May 3, 2019. Watertown, SD -- Watertown Alderman Glen Vilhauer made it official today when he announced he will seek reelection to his seat in Ward E. We have the interview on the audio tab below. South Dakota Senator John Thune says, even though the conclusions by the Mueller investigation stated there was no collusion in the 2016 trump campaign, the question of obstruction will most likely continue to be debated and discussed. Some SkyWest passengers on their way to Denver got some unexpected layover time in Pierre after weather got in the way of their flight. Pierre Airport Manager Mike Issacs says thunderstorms moving through the Watertown area impacted the plane. WWII or airplane enthusiasts can get a glimpse of history tomorrow (Wed.) morning at the Pierre Regional Airport. Pierre mayor Steve Harding says an Air Force Bomber from the Doolittle Raid will be on display from 10:30-11:30am. SIOUX FALLS, S.D. -- The Catholic Diocese of Sioux Falls points to the timing of the Notre Dame fire, as giving some hope in the midst of a terrible tragedy. Watertown, SD – Watertown Mayor Sarah Caron says the Watertown City Council will have some hard decisions to make this evening when they revisit a resolution resetting the on-sale alcoholic beverage license fees for full service restaurants. Pierre, SD -- Damages from last weeks blizzard can now be added to last month’s flooding. South Dakota Governor Kristi Noem says they are telling local officials to continue to keep track of ongoing and new damages. PIERRE, S.D. – Gov. Kristi Noem has ordered the Thursday closure of state government offices in the same 54 counties that were closed Wednesday. SIOUX FALLS, S.D. -- The storm that's coming is like saving the worst for last. "This is probably the single biggest snowstorm that we will have seen all season long," says State Climatologist Laura Edwards. She predicts that many parts of the state will get socked with deep snow. Watertown, SD -- At a stop in Watertown Tuesday afternoon South Dakota Governor Kristi Noem says the state’s Emergency Management Center is reopening again ahead of the next major winter storm.